Two forms of wild bitter gourd i.e. Momordica charantia var. muricata from Palli and Purmandal and three forms of cultivated bitter gourd viz. Momordica charantia var. charantia (Sonex special, Jaupuri and Local form) were studied for morphological parameters and reduction division in male track. Analysis of these for 11 morphological traits indicated that wild forms bore smaller leaves, flowers and fruits as compared to the cultivated ones and amongst cultivated ones, Sonex Special had larger vegetative and reproductive parts. While Purmandal and Palli forms of M. c. var. muricata and Jaupuri form of M. c. var. charantia consistently had PMCs with 2n = 22 chromosomes, Sonex Special and Local form of M. c. var. charantia had hyperploid PMCs in addition to the outnumbering euploid cells. Later cultivated varieties (Local and Sonex special) and wild form from Palli were peculiar in having 5–6% PMCs with quadrivalents; the remaining forms had bivalents/bivalents and univalents. Pollen stainability was low in forms having hyperploid meiocytes and quadrivalents at metaphase I. Besides describing the meiotic anomalies in detail, the probable mechanism underlying the same are discussed in present communication. 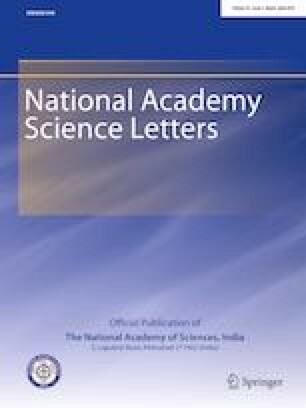 This communication is a part of research work carried out under the project “Assessment of current status and cytomorphological diversity in five cucurbit genera from north-west India and determining molecular diversity in Coccinia indica.” vide Science and Engineering Research Board (SERB) Sanction order SB/YS/LS-175/2013 dated 13 May, 2014.